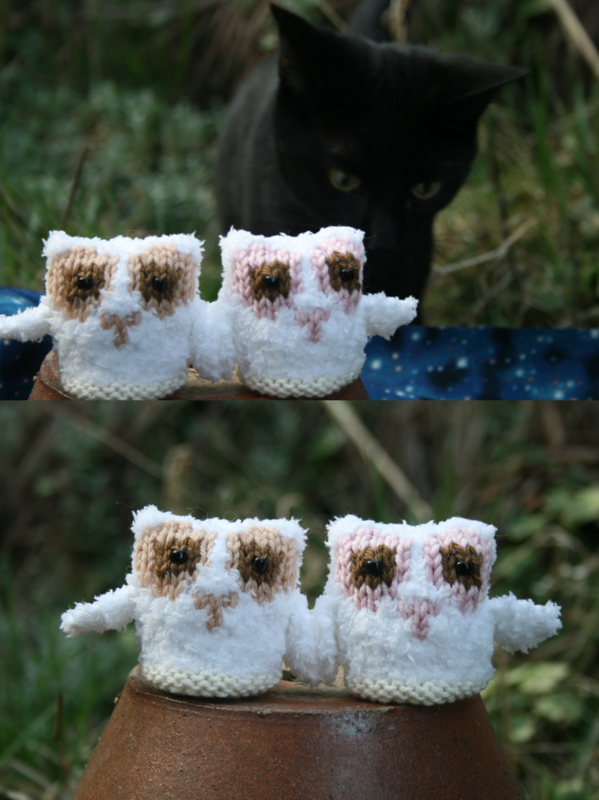 I used a double knit weight yarn; however you could use a chunky yarn for larger owlets or a finer, 4ply yarn to make smaller ones. The owlets make lovely decorations and a smaller size would look sweet on your Christmas tree! Oliver and Olivia have a lucky escape! Basil's Exploits, Designing for the little people!, Knitting!